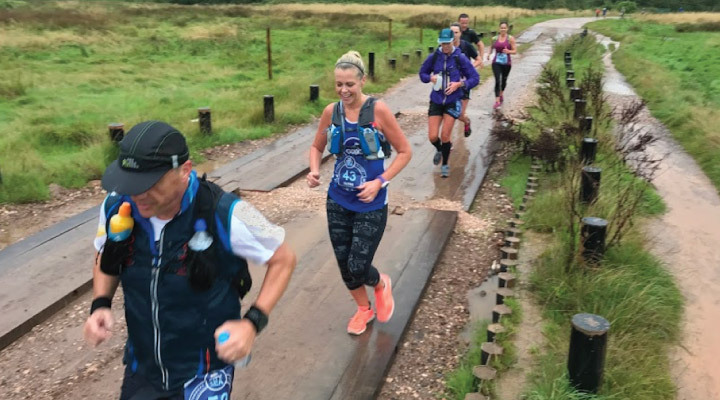 “Brilliant”, “well-organised”, “fantastic team” and “moist” – these were just some of the words used to describe the THHN City to Sea Marathon and Ultra Marathon 2017. 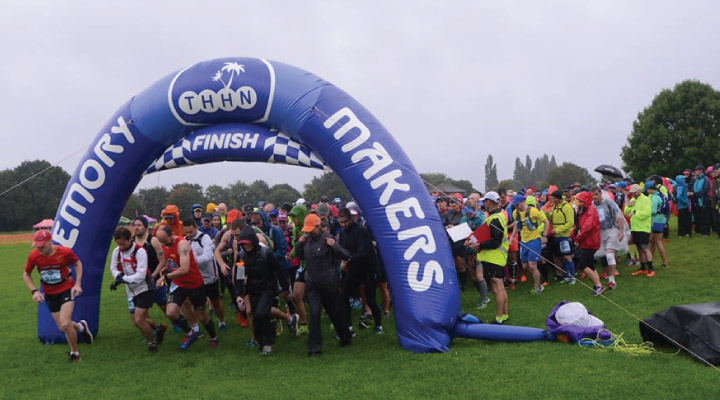 For the second year in a row, this key event in THHN’s calendar took place in driving rain, but this did little to dampen the spirits of the entrants, our fantastic marshals and amazing spectators. First of all, a massive well done to all who took part. Just by entering, you have helped THHN raise money to help families living with serious illness and bereavement. 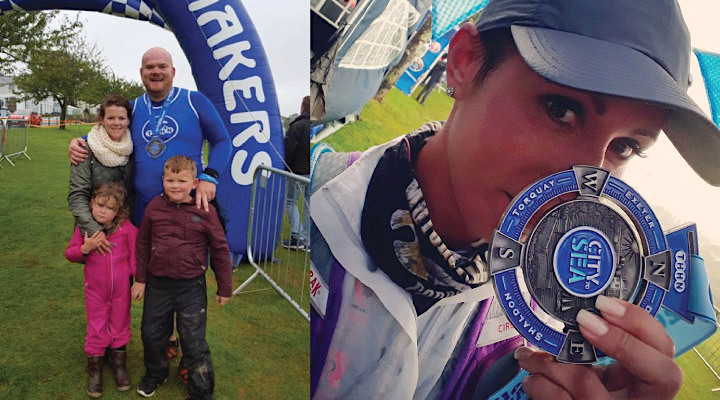 An equally big thank you to everyone who helped on the day, from the start HQ, coach pick up, check points, finish line to the amazing marshals and photographers who stood out in terrible conditions, You are all Memory Makers. A special thank you to Torbay Sea Cadets for looking after the baggage and refreshments at the finish, they did a fantastic job. We have shared several photo albums from amazing photographers on the City to Sea Facebook Page. A massive thank you to: Hanburys Famous Fish & Chips for donating your fabulous fish & chips to the finishers, Ocean BMW Torbay for sponsoring the City to Sea, Our Glass Cockington for donating the unique hand-made winners’ trophies, Westcountry Fruit Sales for donating bananas, oranges, watermelon and sweet potato for the check points and finish, Tesco Babbacombe for donating sweets and biscuits, Abbot Coach Travel for helping with the coaches, Paul Pickett from With a Difference Entertainments for hosting the finish line and keeping the volunteers dancing in the rain, the Massage team from Garry Toms who worked their magic at the finish line, Brian Tilley Photography, Peacock Dreams Photography, Mary Hart Photography, Mattsnaps and Dart3D for taking photos and video of the event, Torbay Coastguard for being there if needed, and, last but definitely not least, all the wonderful people who baked goodies for the check points. 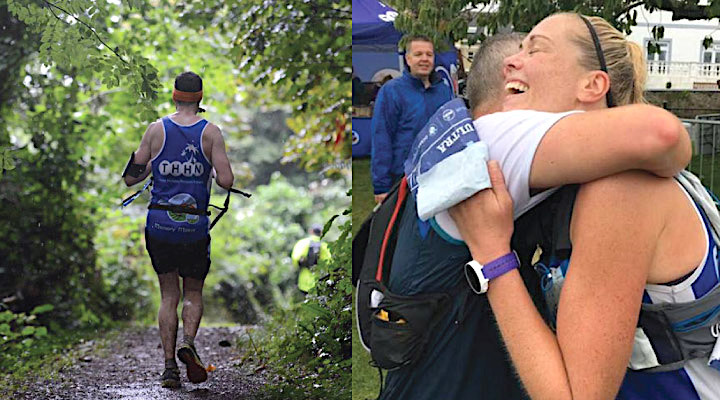 Huge congratulations to all our competitors who battled not only our tough course from Exeter to Babbacombe but also the wind and rain. 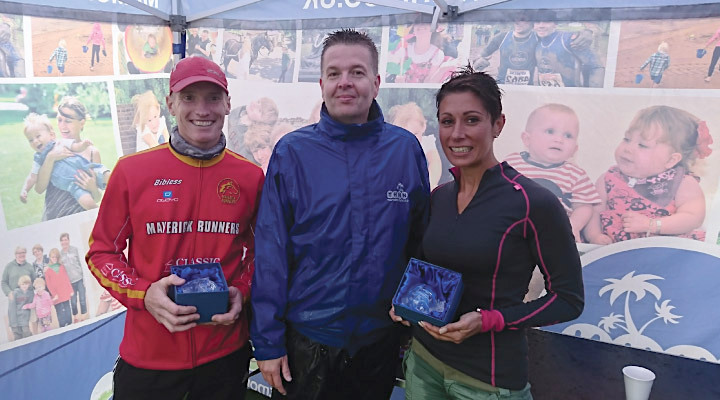 There were two Marathon relay teams, Torbay AC Juniors (04:25:48) and Two Simons (04:52:04). We were very sad to have to cancel the Festival of Fun at the finish line because of the appalling weather. But we’d like to extend a big thank you to all the traders and attractions that were going to attend the event. Here are just a few of the comments we received after the race, to give you a flavour of the 2017 event. The date for next years City to Sea is Saturday 1st September, yes we are going back to holding the event on the Saturday and we are also delighted to announce that Hanburys Famous Fish & Chips will be supporting the event for the 4th year running.